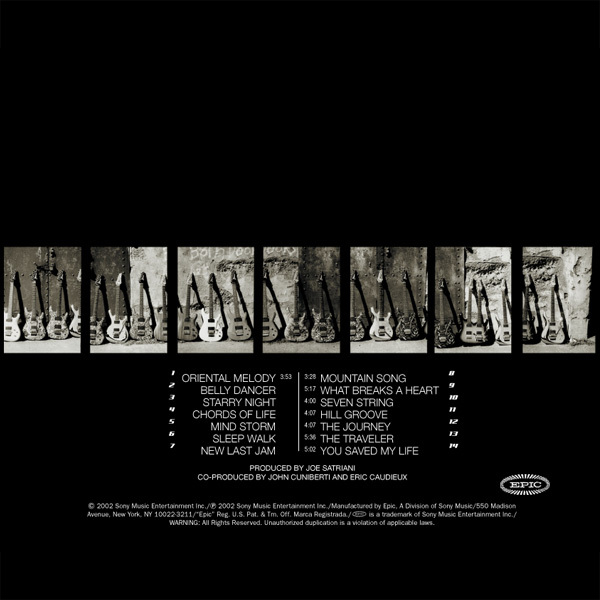 * non-USA bonus tracks now available on The Complete Studio Recordings. Side-splitting laughter provided by Jason Batchko's "I'm So Happy You Called". You can enjoy some selections of this by visiting Jason's YouTube channel. On June 25th, 2002 (the day of the album's worldwide release), a listening party ran where you could listen to the entire album through QuickTime streaming. In addition to all 14 songs on the US release, there also were exclusive personal introductions by Joe for each track. The listening party started at 10:00 AM (PST) and the album looped continuously for 48 hours until 10:00 AM June 27th. 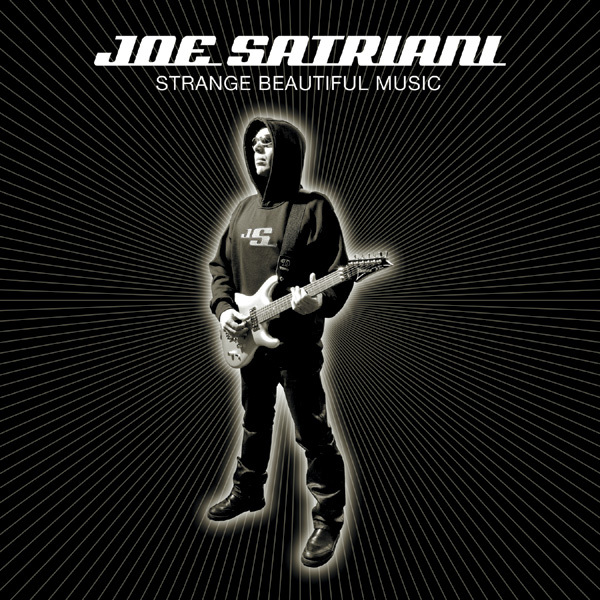 Like we did in the past, we'll be giving out some autographed copies of Strange Beautiful Music as well as a tour t-shirt to lucky SATRIANI.COM members. Simply help Joe work out his set list for the U.S. tour dates by selecting your favorite songs to hear live. Sometime shortly before the U.S. tour starts, We'll randomly pick 20 people who have filled out their set list and ship off their prize booty to them! Select "Edit Setlist" from the form pulldown on the top navigation or click here. We are happy to once again be offering a random giveaway of aftershow passes for all shows on the Strange Beautiful Tour dates. Simply select "Edit/Add Show Attendance" from the member option form (or click here) and select the show you already have tickets for. A few days before each show the winners will be selected, notified via email, and posted on in the tour section of the site (just click on the (a) icon next to the show). You can score a copy of the new CD plus the Sony Net MD Walkman Player Recorder! You'll have to sign up as a sythesis.net member to enter and the contest closes September 2, 2002. Guitar World and Revolver are putting together a cool contest. We're not quite sure what it is yet, but rumors are that it will include something *very* cool. We'll definitely be letting you know here once we've got the cold hard facts. If you're anxious, you can also keep checking their web sites (www.guitarworld.com and www.revolver.com) for news.